Ultherapy® is a non-surgical skin tightening treatment that can reduce fine lines and create a smooth, youthful-looking appearance. As you age, your skin loses elasticity, firmness, and collagen, which results in an older-looking appearance and loose, sagging skin. A number of factors play a role in the formation of wrinkles and fine lines, such as sun damage, repeated facial movements, and genetics. At the office of Dr. Asaadi, we use the most up-to-date, minimally invasive procedures to help restore your firm, radiant skin with Ultherapy®. Ultherapy® is an FDA-approved non-invasive skin tightening procedure that can lift and tone facial tissues that are loose or have begun to sag. Ultherapy® can be used to tighten the skin around your eyes, nose, mouth, and even neck. Using ultrasound technology, Ultherapy® stimulates the formation of elastin and collagen, which restore your skin’s elasticity and firmness. Ultherapy® uses no needles or scalpels, so the majority of patients experience little to no downtime after their Ultherapy® procedure. During Ultherapy®, direct sound waves penetrate the surface of the skin to tighten the deeper tissues of the face and neck. The sound waves gently heat the tissue, lifting and tightening layers previously unreachable without invasive surgical procedures. Ultherapy® stimulates your body’s natural collagen production by focusing safe ultrasound energy to the underlying cause of wrinkles and other signs of aging under the skin. Able to reach the deepest layers of your skin without surgery, Ultherapy® delivers low levels of ultrasound technology to specifically targeted structures in order to boost a healthy production of collagen and elastin without damaging the outer layers of your skin. Ultherapy® relies on the body’s natural healing process to gently restore firmness and tone to the skin and underlying tissues of the face and neck. The Ultherapy® treatment is performed in-office during a 30 to 60 minute procedure. The duration of your Ultherapy® procedure will vary depending on what you wish to have treated. During your Ultherapy® treatment, Dr. Asaadi will use an ultrasound applicator to administer safe levels of ultrasound energy to the areas you wish to have treated. What Can I Expect Before My Ultherapy® Treatment? Your Ultherapy® consultation will begin with Dr. Asaadi going over your medical history and general health. Dr. Asaadi will then work with you to create an effective Ultherapy® treatment regime that will target all areas you wish to treat. Some patients may experience a sensation of warmth or pulling during their Ultherapy® procedure. There is little to no discomfort during Ultherapy® for most patients. 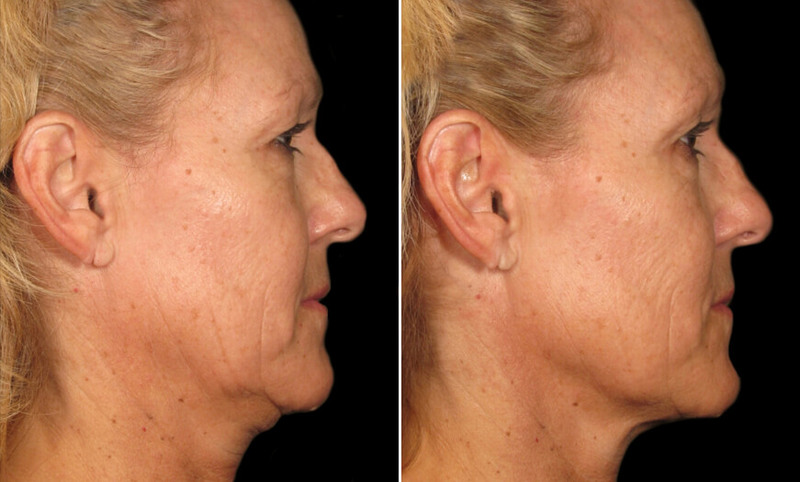 An ideal Ultherapy® candidate is looking to firm and tighten facial and neck skin without the downtime and discomfort associated with traditional surgery. All patients should have realistic expectations for results prior to receiving Ultherapy®. Because Ultherapy® uses safe ultrasound technology, the majority of patients are ideal candidates for an Ultherapy® treatment. What Can I Expect After My Ultherapy® Procedure? Because Ultherapy® uses ultrasound technology, there is little chance of an allergic or adverse reaction to an Ultherapy® treatment. The majority of patients experience a quick recovery period and can return to daily activities almost immediately after Ultherapy®. You will be able to go home the same day you receive Ultherapy®. It is common that some patients will experience a certain degree of flushing, tenderness, or inflammation; these symptoms are normal after Ultherapy® and will subside in the days following your procedure. 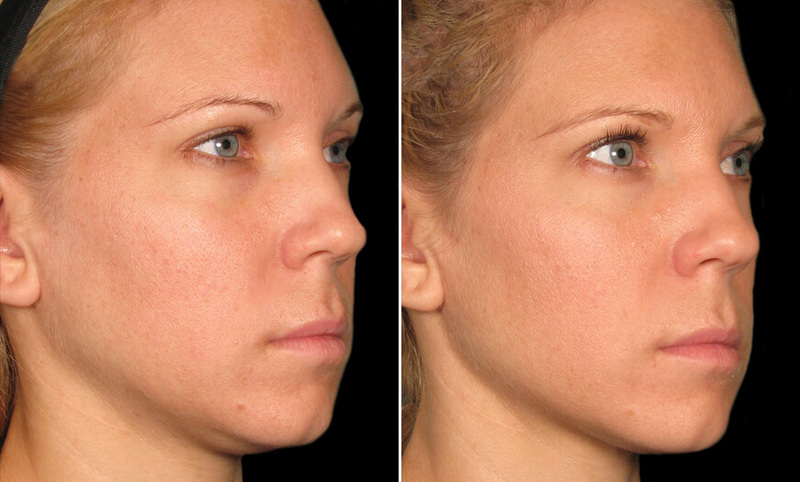 Most patients will see significant improvement after just 1 Ultherapy® procedure. 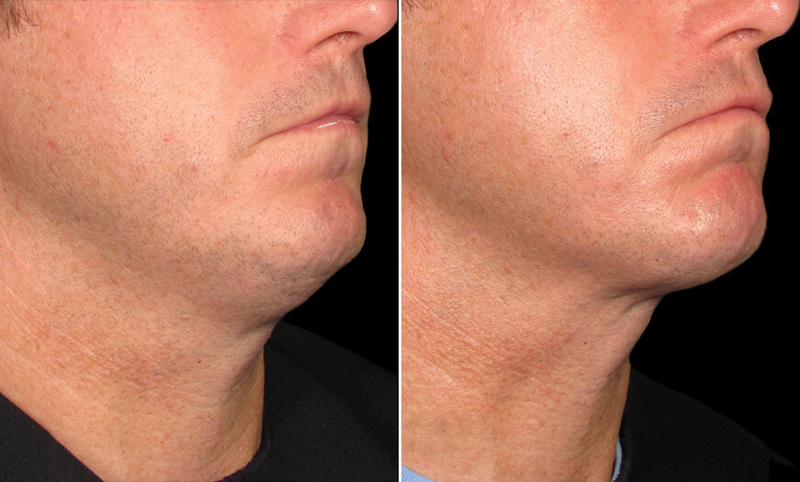 Additional Ultherapy® treatments may be performed with Dr. Asaadi to further improve the appearance of loose skin. While visible improvement will be seen following your Ultherapy® treatment, ongoing results will continue to become apparent in the months following your Ultherapy® procedure. It is important that you choose a skilled Ultherapy® doctor who understands your individual anatomy. Dr. Asaadi stresses the importance of choosing a qualified, experienced, and board-certified plastic surgeon when considering Ultherapy®. Tone, Glow, And Firm Your Skin With Ultherapy® And Dermaglow® Microdermabrasion! Ultherapy® treatment can be used alongside Dermaglow® Microdermabrasion to tighten skin and clear your complexion in one non-invasive treatment! During this comprehensive facial rejuvenation procedure, Ultherapy® is performed to firm underlying tissues and lift loose skin, while microdermabrasion using the innovative Dermaglow® system can remove damaged skin cells from the skin’s surface to encourage the growth of clearer-looking skin. Click here to learn more about MicroTone & Firm treatment. How Can I Get Started With Ultherapy®? Dr. Mokhtar Asaadi and our staff will be happy to discuss Ultherapy® with you. Please contact our New Jersey office at 973.731.7000 or our New York office at 212.938.0158 to schedule a private consultation. You may also request an appointment online to meet with our Ultherapy® doctor.